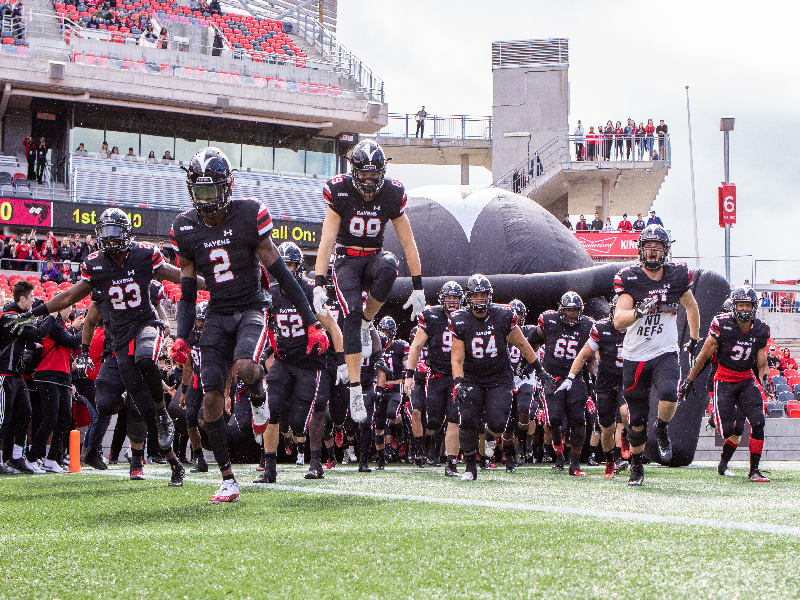 Every year, Carleton University hosts the annual Ravens Football Dinner, to celebrate the past and look forward to the future. Student athletes will have the opportunity to attend and meet the Old Crows who inspire us, the graduating athletes who mentor us, and the new recruits who will carry on our legacy. As student athletes, we have a passion for football and our enthusiasm is contagious. Our work on and off the field reaches a wide community of champions and supporters- our friends, family, fellow Ravens, and Old Crows, who are cheering right alongside of us. We are grateful to be Ravens at Carleton, to experience the feeling of hearing our classmates cheer us on in the bleachers, of fireworks announcing a touchdown or the way it felt to walk into the Ravens locker room for the first time. Thanks to your support, our team is stronger each year. For us, the football team has provided a sense of belonging, a home away from home, and our teammates have become like a second family. On the field, it has helped us build leadership skills, self-confidence, and resilience. Your donation will help celebrate all that we have achieved, and all that we look forward to in the year ahead. As student athletes, we rely on community support like yours to make the Ravens Football Dinner a success. This event is more than the evening’s festivities, it reinforces your commitment to build a community of support for the football team. For us, the term ‘Raven’ symbolizes our drive to make Carleton proud, and donors like you are integral in helping us soar to new heights. As we approach the annual Ravens Football Dinner, please consider making a contribution to the football program in recognition of our new recruits and our graduating class.